friends! who are not irish! My father grew up in Poughkeepsie, New York, where everyone was either Irish or Italian. Our family basically has no idea when they came to America or where they came from, but with no secret pasta recipes to be found and all our surnames being hyper-anglicized things like Crawford and Rose, they decided it would be best for young Jimmy to associate with the Irish kids at Catholic school. He then grew up to offend his father’s decidedly Irish sensibilities by going steady with a long list of Italian girls. And eventually married my mother who is a PROTESTANT of all things. 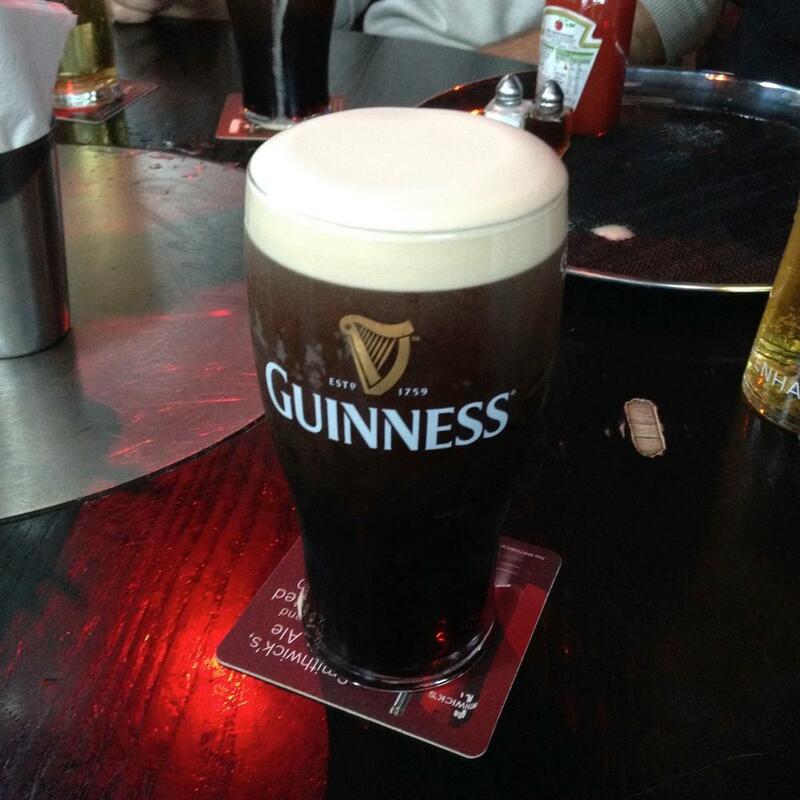 This vague, adopted Irish heritage is the closest connection I have to the Emerald Isle. Regardless, I can’t deny the fascination that East Coasters have with its culture. Chalk it up to Americans' love for appropriating colorful, alcoholic holidays if you will. But I find history of its people – from their long fight for independence to the Irish immigrants' rough adjustment into American culture – resiliently beautiful. Last summer, my best (and only?) law-abiding-citizen friend Catie decided to have her first ever drink when we visited Dublin for her 21st. We both tried Guinness and hated it. We listened to a lot of Gaelic Storm and “L’Chaim” from Fiddler on the Roof. Our friend Isaac quoted the Scottish poet Robert Burns when we toasted. Close enough, right? 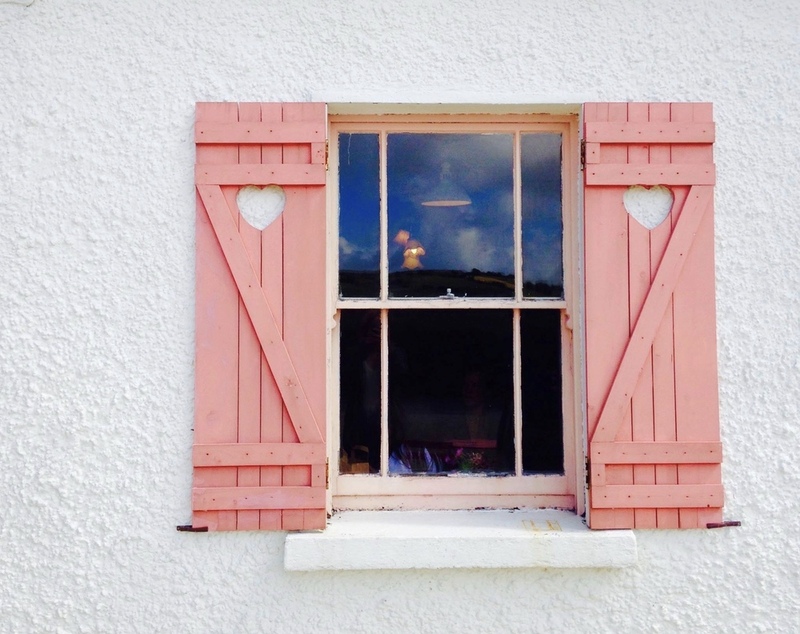 It was a jumble of sleep-deprived delirium and a few Americanized ideas of Irishness. But nerdy historic tours highly outrank heavy drinking on my grandmotherly list of things one must do when abroad. 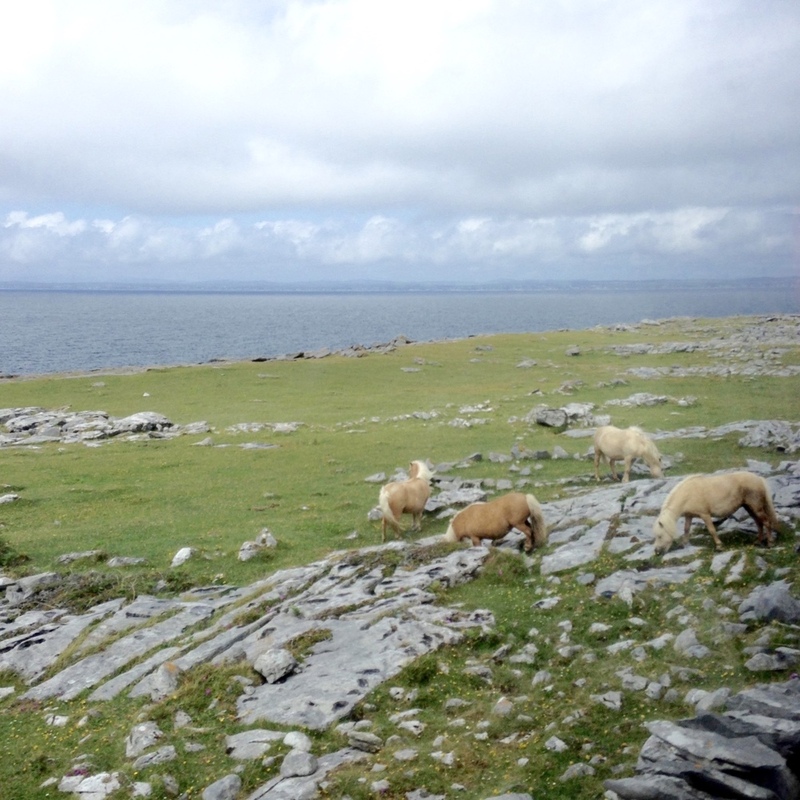 My favorite parts of our tour were our travels outside of Dublin. The dangerously foggy Cliffs of Moher and the high-ceilinged historic cathedrals, the Rock of Cashel and Corcomroe Abbey. Stark, wind-whipped landscapes and haunting, deserted sacred grounds that all felt very Game of Thrones. Except our stop at Hazel Mountain Chocolate, a picturesque family farm-turned-chocolatier that is older than America itself and has the best chocolate cake in the whole damn country. Not spooky, just delicious. So, in honor of America’s favorite beer-drinking holiday, I present to you a snapshot of our short time in one of the most fabled lands of Western Europe, and a playlist by the Fluf’s very own former-Irish-dancer-turned-self-proclaimed-drinking-songs-expert. May the road rise up to meet you and all that jazz. 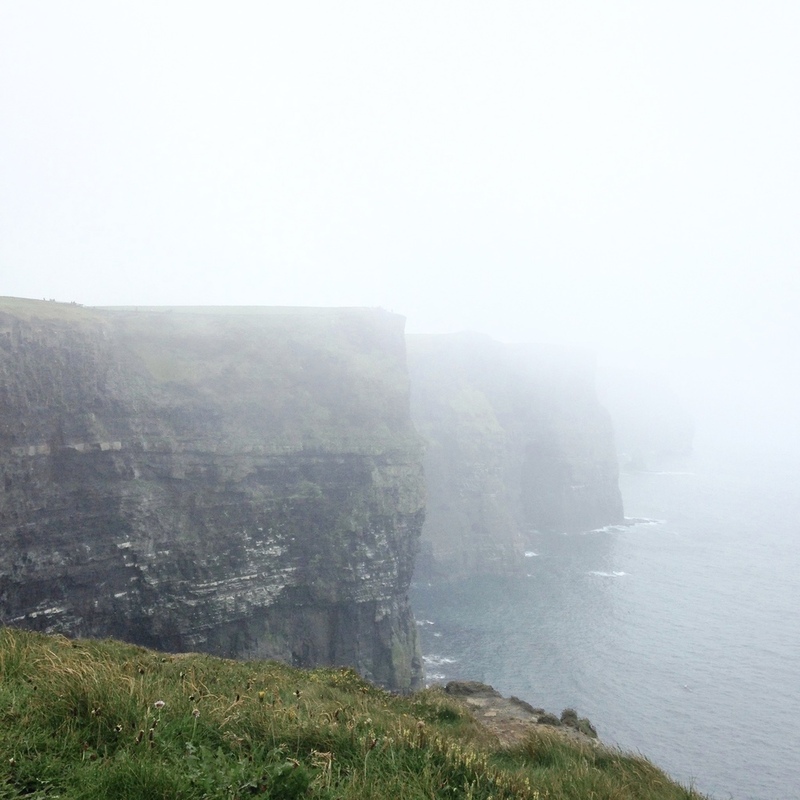 - THE CLIFFS OF MOHER: I have a weird fascination with dramatic cliffs and fog and such. Who doesn't? 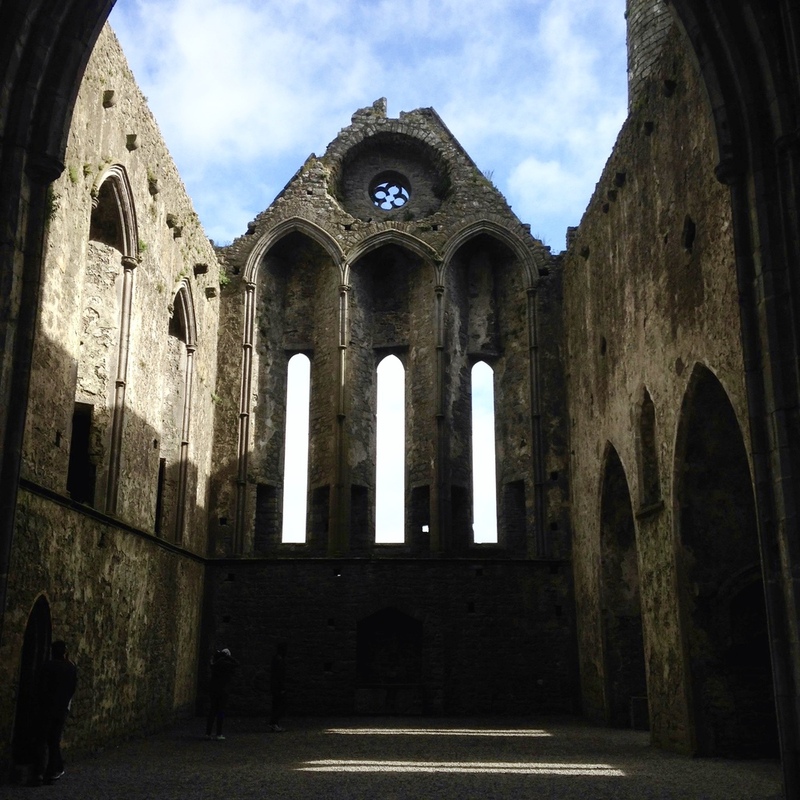 - THE ROCK OF CASHEL: Awesomely eery ruins and graves overlooking rolling green fields. Great for architecture nerds. 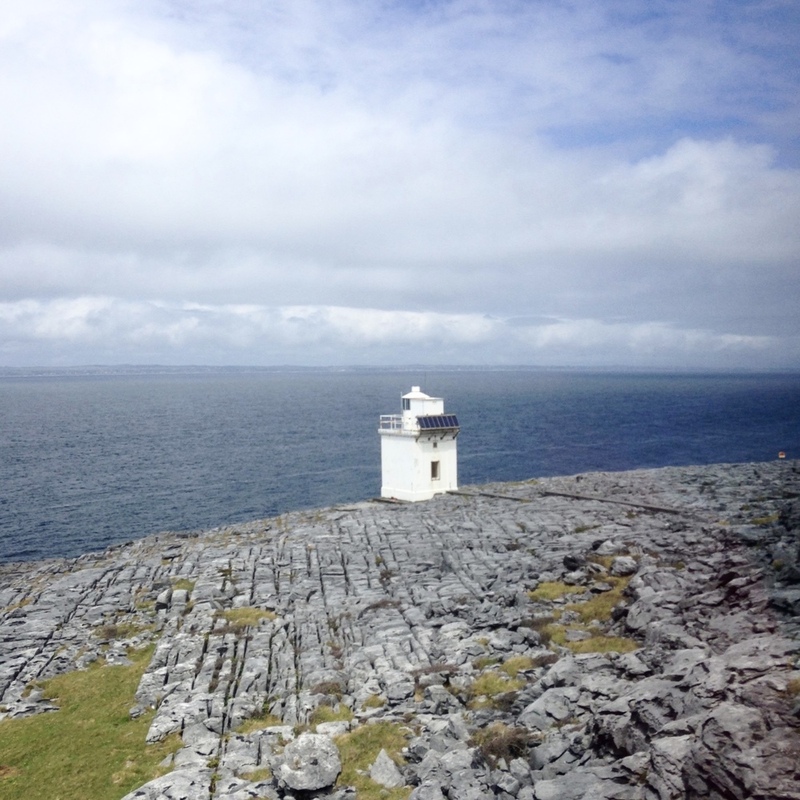 - THE BURREN: For its beautiful rock-and-seascapes. - HAZEL MOUNTAIN CHOCOLATE: nom. - CORCOMROE ABBEY: Not as vast as the Rock of Cashel, but almost more charming and mysterious because it's in the middle of nowhere. Made me wonder who built it and where their ancestors are now. - BLARNEY CASTLE: Because you have to walk up crowded spiral staircases (which are at first exciting and at last nauseating) to have a lovely, unamused old Irish man hold you while precariously bend over the edge of the castle to kiss the Blarney Stone (which looks no different from all the other stones?) to receive the gift of gab (which Catie and I probably didn't need...). - DUNGUAIRE CASTLE: Beautiful from the outside, surrounded by a marsh and little white thatched roof houses, but it's only a gift shop on the inside. - CORK: We visited at the end of the day right at nap time, so we basically saw nothing there besides a sword-wielding street musician wearing only a dirty overcoat and very very tiny boxer briefs. I'm sure it's a lovely city to visit with a bit more sleep and a few more articles of clothing.